Is it safe to say that a fire goes as the first line goes? Who are our managers, or senior men? How did they get to be in that role, and who are they leading? Are you an employee, or a fireman? – Thats a new catch phrase around my job but is very much right on if you search it out. As a boss, are you instructing your people to handle business appropriately? Or are your people dictating what your limitations are under any given circumstance. Understandably, theres always going to be a company limitation of some sort, but when do you concede to this notion as a supervisor, and when if ever is it OK that you realize you can not get the proverbial blood from a given stone? When do you push the envelope as far as a persons retention and skill set go? Are they unaware, unwilling or unable to perform? How many opportunities does one get to prove some semblance of reliability? If your mindset is that of privilege, meaning you are union protected or that your relation/nepotism clause covers your position in a paid or volunteer aspect, then do us all a favor and beat it. We all need to work hard every day to earn our positions. Regardless of if your position is 75K a year or totally for free, make sure a 15 year old explorer nearby isn’t going to make you look like a total idiot when you need water from a hydrant. If you are an elected volunteer officer, please understand that lives hang in the balance just as they do for the career guys. Excuses are for PU^^#@’s, no matter what your role is. If you are not fulfilling said role to the greatest of your ability, then don’t put your pissy pants on when someone better calls you out on it. We will all s#@t the bed on occasion, but when is enough enough? We need more operational pride these days, not operational indifference. Officers typically try as they might to instill company pride. “Whatever company your in, is the best company there is” says a good friend… But after repeated attempts and training sessions it may become clear that lost causes can & do still exist. How is it that you may be assigned to a unit with a company logo and that logo is not on your Class A or Class B attire after even the first day your assigned to that particular company? When these issues are the case, administration can’t hold fast to the company line of “it’s your responsibility to train so-and-so to the level you feel comfortable with. “Thats pure S H ! T to quote Charles Bukowski. 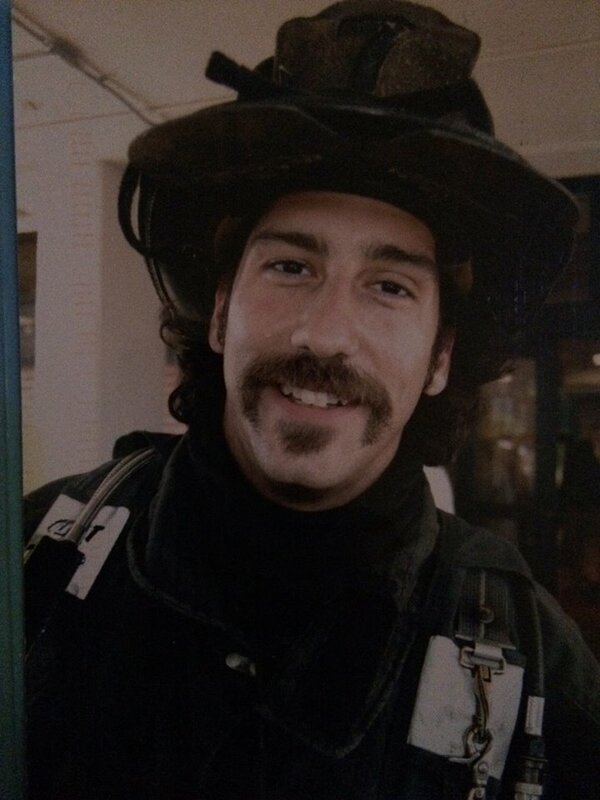 If so-and-so doesn’t understand that his gear should be set up and ready to go on the rig prior to his first load of laundry in the firehouse washing machine or the vacuuming-out of his personal vehicle in the firehouse parking lot, than what can one really do to instill pride and ownership in him? The point becomes more moot than moot can moot. Excuses aside, theres a right and wrong way to do everything as a fireman, no matter how many ways there are to skin a cat, so pick one and get your function handled appropriately please. We are labeled a Fire Company for a reason, so that we can rely on one another to be in the right place, at the right time, ready and willing to handle our business. Minimum manning isn’t in place or an NFPA standard so that two or three guys on a rig can do the work while one or two guys are spectating like a fraud, in constant battle with a mask problem or a phony injury. 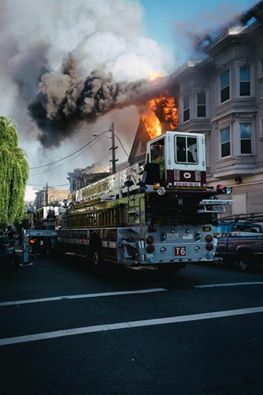 Take a look at this photo… do you think this Ladder Company is prepared to handle business, or blow it? The trash man isn’t surprised when he turns the corner onto a new block in the AM and sees trash out for collection. Why are our people surprised when they turn the corner and theres fire venting from a structure? The Orlando Fire Conference is huge this year. Will be a Great three days of training, with a few hundred firefighters from all over. Most of the classes are SOLD OUT!! Hopefully we will see you there. OFC attendees also get the chance at FREE ATTENDANCE to FD TRAINING NETWORK Live-Fire Training Camp. YOU MUST ENTER THE PROMO CODE: OFC2015 during the checkout process. You will be entered to win, if you renew or join FDTN before the drawing Saturday at 4 pm.. If you have never been to the FDTN training facility, you are missing out. I always tell firefighters, it is where I will send my kids, if they decide to be firefighters. By Far, the best training facility in the country. 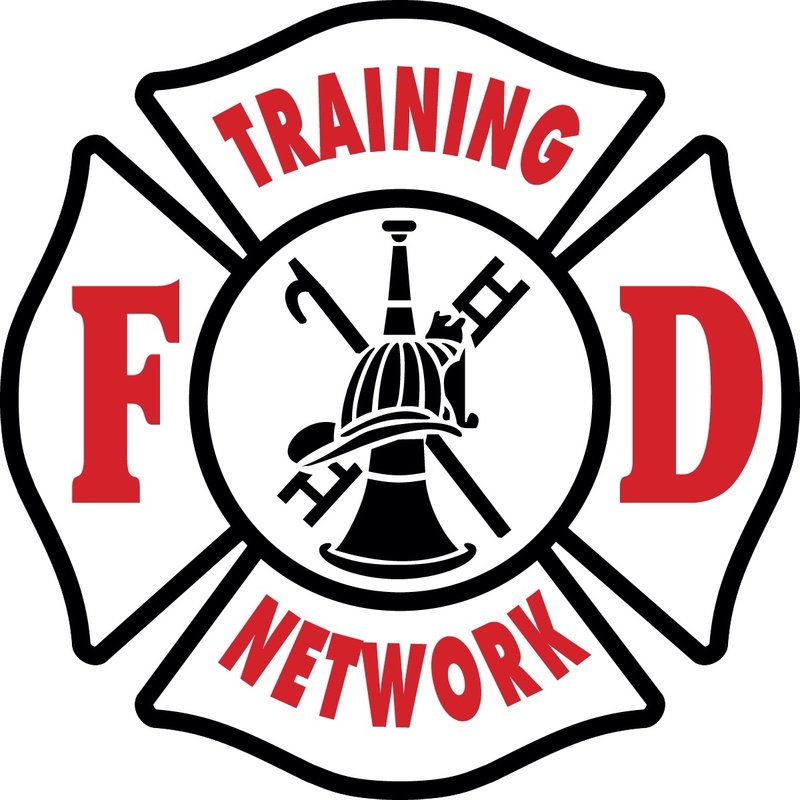 FD Training Network is a huge supporter of HROC 2015 and the mission to train firefighters. Check out http://www.fdtraining.com for more info on Great Training. 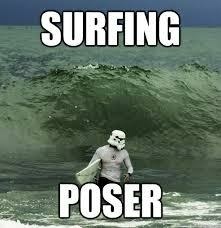 Growing up on the Gulf Coast, and in particular a surfing town, I am well aware of what a poser is. A poser is someone that wants to be a part of something, or is viewed as part of something without the full commitment. See you have true surfers, the ones that get up before dawn when it’s 30 degrees outside and the water temperature is below 70, just to catch a few waves. You also have the ones that carry a board on top of their car 24/7, but that board rarely sees time in the water. The board is for looks, and lets all around you know you are a surfer. By now, you must be thinking…..how does this relate to the fire service? We have more fire posers than the world of surfing has surf posers. The other issue is, surf posers don’t ever get financially compensated unless they have truly arrived. They have only arrived because of significant dedication to the art of surfing. See, I was a poser for short time. Yes, I owned boards, both a skateboard and a surfboard. I wore the clothes and hung out on the beach. The issue was, I didn’t really have the passion or desire to become good enough to really enjoy and master surfing, and surely not when the temperature was below 80 degrees. I would not commit to checking the weather or getting out to size up different breaks, or see where the latest break was. I have been in the fire service for a while now, and I realize there are way more posers wearing fire t-shirts and hauling gear around with them than there are posers in the world of surfing. My issue is this, posers in surfing will most likely not hurt anyone but themselves. Yes they may need assistance getting back in if they go out on a good day. But, a poser in the fire service is not only a danger to themselves, but to all those operating along side of them. This job takes teamwork, dedication, and passion to master, not to mention the countless hours of training and studying. To have that passion and desire to become good enough to really enjoy and master this craft, one should be immersed in firefighting, not merely posing with your shirt and gear. Are you a poser, or are you committed to doing what it takes to be the real deal?